Replacing the siding on your home isn't always a top priority among homeowners, but there are times when it definitely should be. Most times, unless there is an overt problem with your home's siding, homeowners won't even take it into account, but that can be a very dangerous practice to subscribe to. The siding on your home is going to wear out, crack, break, and get old at some point, and you need to make sure you are looking out for the signs that your siding is wearing out before it actually does so. By the time your siding begins to leak, it could already be too late for you to prevent massive, and expensive damage to the rest of your home. Fortunately, there are a number of different things you can be on the lookout for as a homeowner that will help you determine when your home's siding is due for a replacement. If your home needs frequent painting, once every five or six years, it's a surefire sign that something is wrong with your existing siding. Siding that is in good shape should be able to keep its shape and color for at least 8-10 years, and maybe longer depending on how well it is taken care of, the weather it is exposed to, etc. If your siding is chipping, peeling, or starting to crack, it's an indication that there is a serious problem and you need to start looking at replacement options. If you home's heating and cooling bills begin to skyrocket out of nowhere, and the outside temperature really hasn't changed that much, it could be a sign that your siding is overdue for replacement. Before you jump right into shopping around for new siding, you will want to make sure that your insulation problems aren't the result of a faulty heating or cooling unit, and that your Long Island roof or your attic insulation isn't the culprit instead. If those aren't the case, however, and your heating and cooling costs are significantly different from those of the other homes around you, especially if they are of comparable size, it's a good indicator that there is an issue with your home's wall insulation. Every so often, you will want to perform a visual inspection of your home's siding. For this inspection, it is good to take a relatively sharp object, like a screwdriver, and look specifically for areas of warped siding or for rotting boards or any other damage to your siding material. Use the screwdriver to poke under any siding that has warped to check how solid the underlayer is. If the underlayer of your siding has begun to rot or has become soft, it's a sure sign that you should start looking around for replacement options. 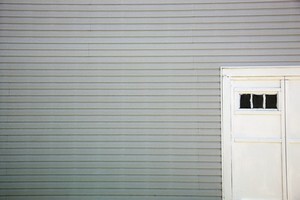 It might not be obvious to some homeowners, but if you notice peeling paint or wallpaper that is pulling away from the wall inside your home, it can be a sign that your home's siding is faulty. Bad siding will allow moisture to seep in underneath the siding where it can then get into your walls, eventually causing a great deal of damage to your home's interior walls as well. 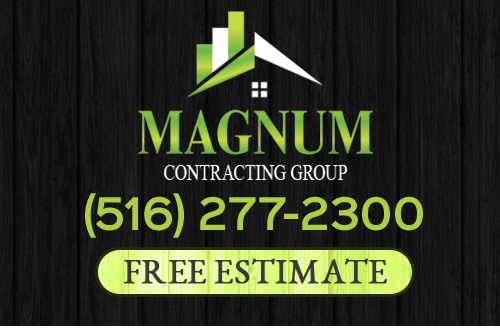 If you are looking for Long Island siding installation, repair, or replacement services, give us a call today at 516-277-2300 or complete our online request form.